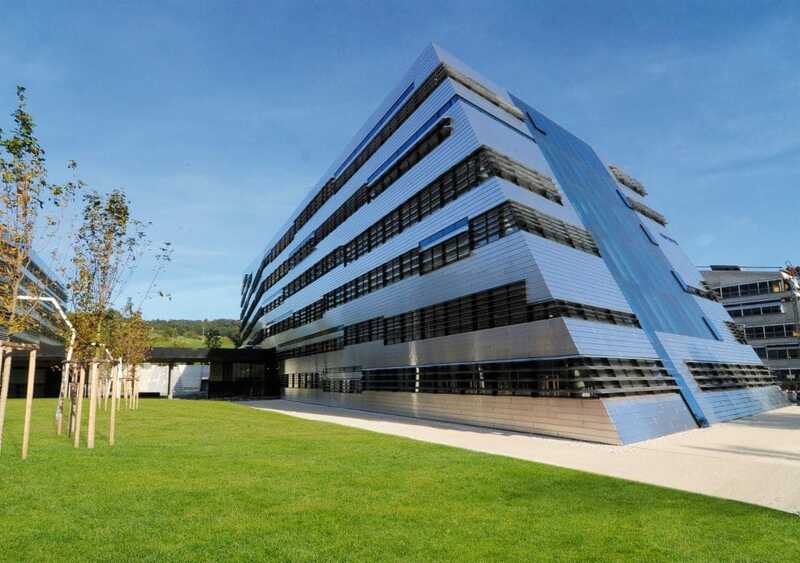 With its three faculties, the Johannes Kepler University in Linz offers a broad spectrum of teaching and research. In the overall design of the new Science Park, the task was to support the interdependencies of the social and economic sciences, law, technology and natural sciences in concept and design. communication above all – that means: to establish contacts between the existing part of the jku, the directly adjacent residential buildings, the natural surroundings, the new building components with each other and finally inside the building. apparently playfully, the buildings enter the neighbourhood and the surrounding area in the ground plan as well as in the section through height jumps and bends, thus escaping a rigid building structure and creating a ground level connection to the existing uni area through the recess in the slope and the entrance area below street level. the landscape flows between, over and through the building with its partially floating office wings into the area and finally interlocks with the building to form a newly interpreted campus. the generous interior atriums connect the floors, allow light to fall down to the lower levels and thus demand a new science working climate for communication. due to the large span widths and the partly necessary bridge constructions and the resulting bends, the parapets are not arranged randomly, but are placed exactly at the points of the largest bend in their strongest dimension. this creates a diversifying effect towards the outside and more individuality in the inside. a game that is reinforced by slats of different depths and distances. For this reason, the communication factor was at the forefront of the construction task. Generous modern working environments, open spatial structures and efficiently networked access and communication routes promote exchange and bring a vitality to the campus that promotes community. In addition, it will be made easier for business and research to move closer together in order to further expand the practical relevance of the technical courses of study. As a milestone in the history of the JKU, the Science Park project, which is divided into five construction phases, is not least an eye-catching sign for Linz as a location for science and research pointing the way. On the technical design of the façade: For the façade, the planners were looking for a material that exactly adheres to the geometric specifications and yet remains discreetly in the background. Planum profiles from DOMICO meet this requirement. They are produced project-specifically with lengths of up to twelve metres, special lengths are possible. The profile guarantees the limit values for flatness deviations with increased requirements in accordance with DIN 18202 when fully assembled. 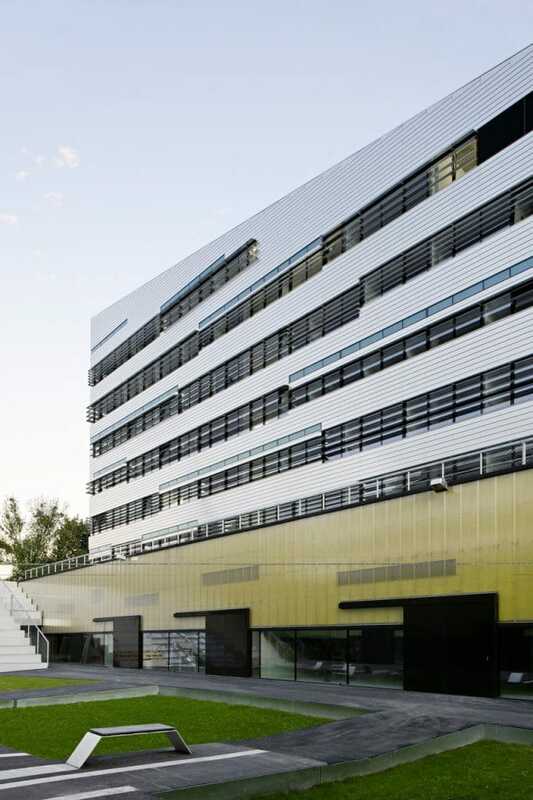 In the Science Park, the aluminium panels were laid bare horizontally with a joint width of 20 millimetres. For precise corner formation, the profiles were mitred in the factory.